Use the back door. Avoid the lobby if you're carrying luggage. Don't talk to neighbours. Say you're visiting a cousin. And most importantly, don't mention Airbnb. As cities and buildings around the world crack down on short-term rental platforms, hosts are asking guests to lie about who they are and why they're there. Use the back door. Avoid the lobby if you're carrying luggage. Don't talk to neighbours. Say you're visiting a cousin. And most importantly, don't mention Airbnb. As cities and buildings around the world crack down on Airbnb and other short-term rental platforms, some hosts are asking guests to lie about who they are and why they're there. But it's also happening at a micro level, with individual condo boards issuing guidelines or outright bans for owners and tenants in their buildings. That's what happened to Patricia Payne, of Labrador, whose trip to Toronto took an unexpected turn when she ended up booking one of these "rogue" units. "I felt like a criminal, I was afraid to make eye contact with anyone," she said. Payne was in the city with her boyfriend to visit family, who recommended she try Airbnb for a potentially cheaper option in a more convenient location. She found a condo close to her aunt's home. "All of the amenities were kind of an exciting extra, because we didn't expect to find a full house to stay in, with a pool and a hot tub and everything." 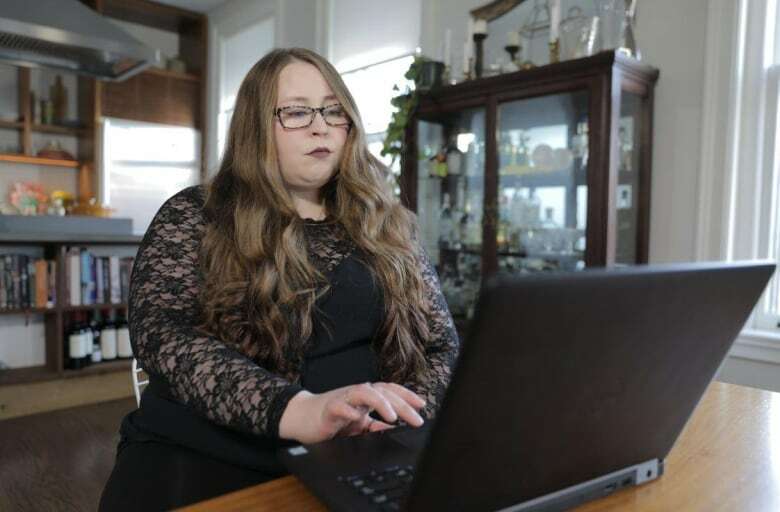 But three days after booking, her host sent her a list of rules that weren't outlined in the listing posted on the online home-sharing platform. "He told me that if anyone asked, I was just here to visit him and his family, like we were friends … and not to speak to security or the concierge or really anybody who worked there," she said. "I thought it was kind of sketchy and I thought it was weird," she said. "So I kind of contacted my aunt and asked her if it was a thing that people did, because I don't know. I don't live in a big place, we don't have Airbnb at home." "I kind of panicked," she said. "I was not sure what to do." "If anyone asks, you're just visiting," the rules read. "Please don't mention Airbnb or short-term rental. 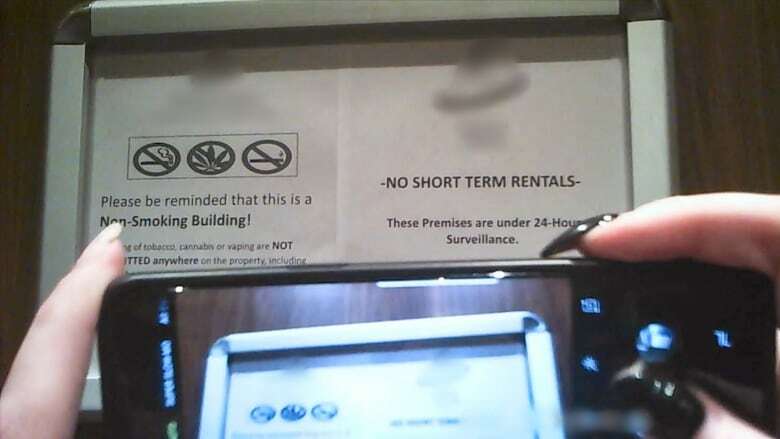 It's prohibited in the condominium building." 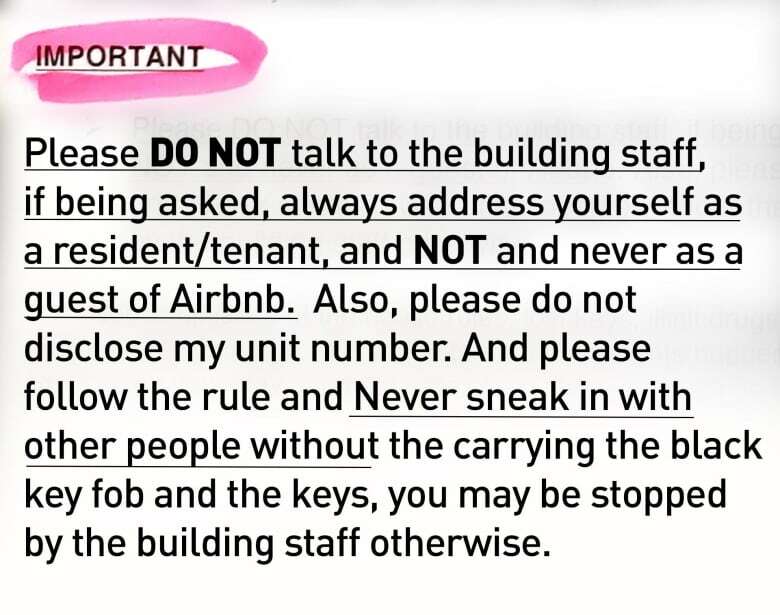 When a Marketplace producer entered the building on check-in day, they got a gentle reminder from the host: "Don't mention anything about Airbnb, OK?" he whispered. "They don't like it here." Payne ultimately decided to stay at the listing, but said she felt too uncomfortable to use the building's advertised amenities, like the pool and hot tub. "I was afraid of being kicked out mid-vacation and being stuck with nowhere to stay," she said. Payne isn't the only one who has experienced this. 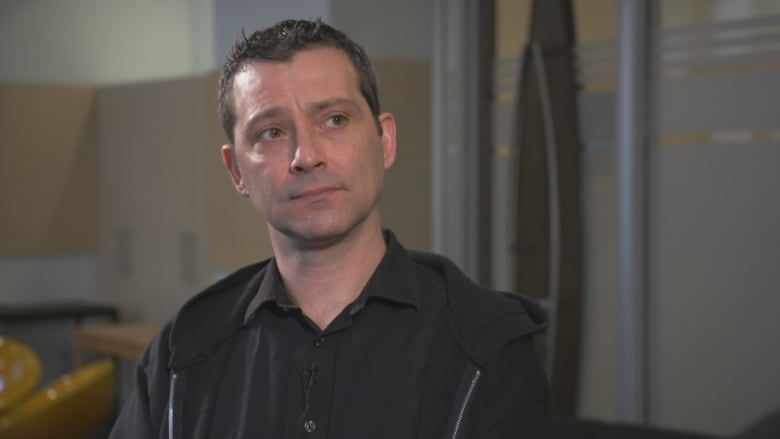 With data supplied by AirDNA, Marketplace analyzed reviews posted on Airbnb in 2018 from major cities across Canada. "The check in instructions made it seem suspicious that air bnb [sic] was welcome in the building," read one review. "A letter left under the door by the building management on the second day reconfirmed this." A Marketplace producer booked a stay with the same host. They were given a long set of strict rules, instructing that the keys were to be "discreetly" collected from a lockbox. The rules also suggested guests use the parking-garage entrance if travelling with luggage. 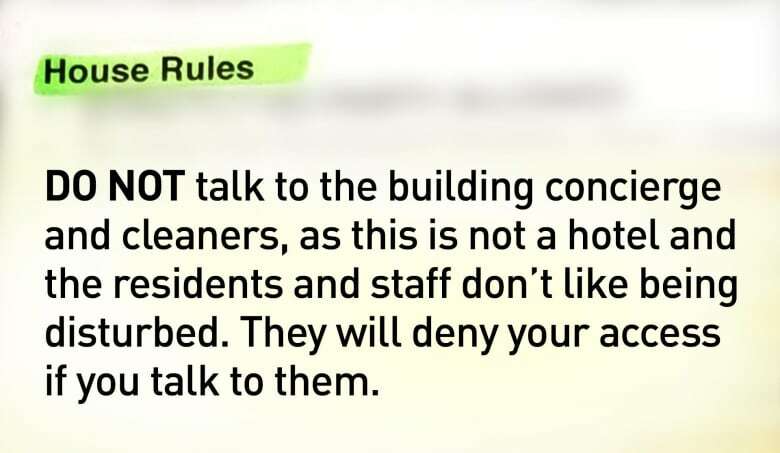 "DO NOT talk to the building concierge," read the document. "They will deny you access if you talk to them.… Non-compliance of the house rules … will result in a minimum $200 charge." "You can't be friends with people who're just ghosts … They come and go," he said. "The nightmare isn't a nice couple from Chicago staying here for a weekend," he said "The nightmare is a group of criminals coming in ... using this as a base of operations for either human trafficking, prostitution — all kinds of stuff. This happens." Airbnb declined Marketplace's request for an interview and instead provided the following statement when asked about covert listings. "Responsible home sharing strengthens neighbourhoods and generates meaningful economic impact for cities, provinces and our hosts.... We are committed to continuing our work with cities across Canada to ensure a healthy, responsible home-sharing community that balances the concerns of housing affordability with the rights of everyday people to share their homes." "In the past, we have locked [Airbnb guests] out of the unit, cancelled key fobs and escorted them off the property because they're strangers, they don't live here," Devita said. "You will be out on the street in the middle of the night if you're caught." Still, Devita said his board hasn't ruled out allowing short-term rentals in the future. "I understand some of the buildings have actually embraced it. That's great, let them be the guinea pigs, see how this rolls out," he said. "Maybe down the road in the future, we'll reconsider this stance — but only after every other building has made the mistakes for us."